View SEO PRESENTATION.pptx and other presentations by universalwebdesign. Once you have selected your 7 terms it’s a good idea to check where your website currently ranks using the SEO Book ‘Rank Checker’ add on for FireFox. Alternatively you can purchase another tool such as Cute Rank. Like everything in business, some things work better for some companies than others, the same applies to SEO. It’s vital to test and measure how your website is performing and whether your SEO efforts are making a positive impact to your ranking. 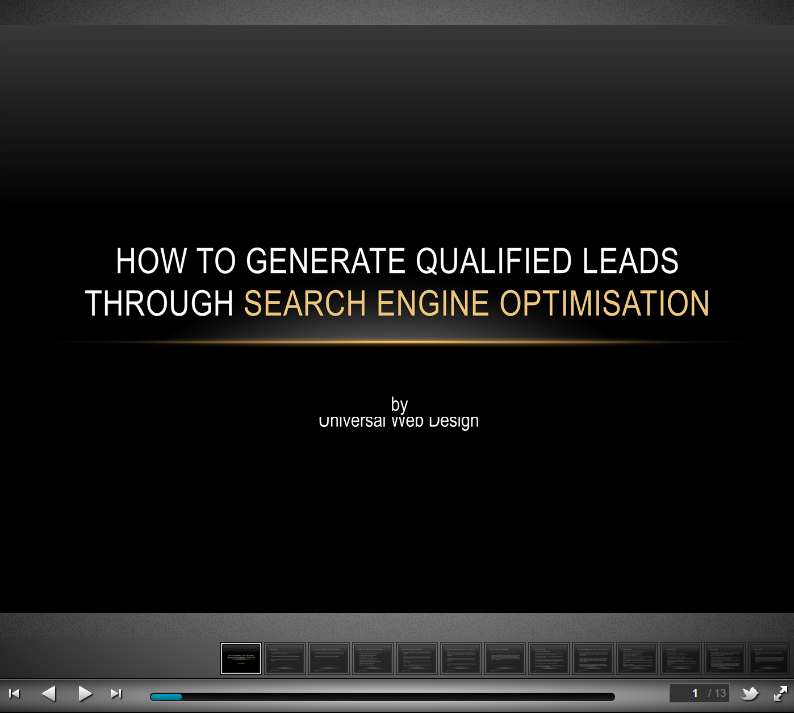 If you enjoyed this article on ‘How to generate qualified leads through SEO’ then please like, tweeet and share this page with friends and associates – thank-you for reading.